Lagos catamaran tour with amusement. 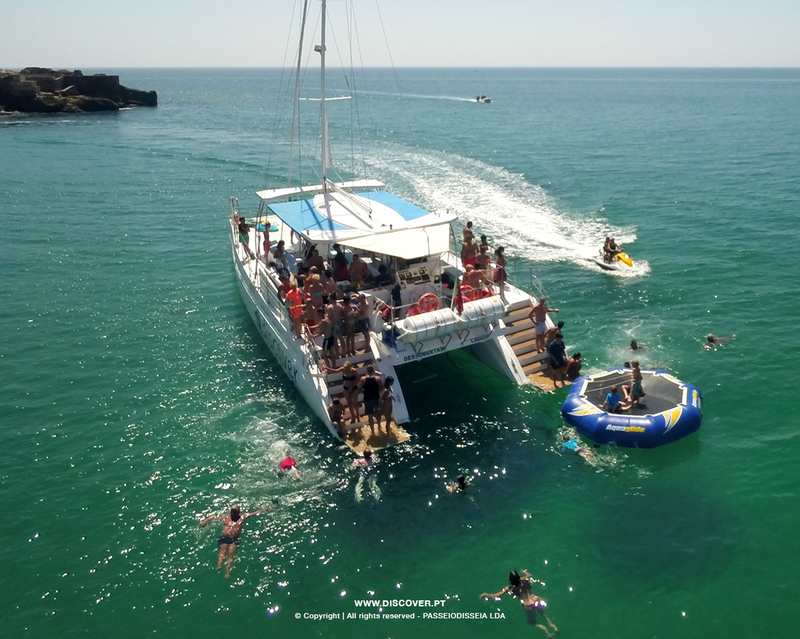 Enjoy this amazing Coastal cruise on a modern and spacious sailing catamaran along the cliffs and caves of Ponta Piedade, Porto de Mós and Praia da Luz and witness the unique rock formations and the golden beaches of the western Algarve. On this 3 hour cruise you will see the stunning golden beaches of Batata, D.Ana, Camilo, Ponta da Piedade, Canavial, Porto de Mós and the lovely village of Praia da Luz. Here you can go for a swim, snorkel, use the paddle boards and bounce of the water trampoline in a morning or afternoon of excitement and fun for all ages. Relax and top up your tan on the sunbathing bets and feel the gentle breeze of the summer wind as you go back to city and the Marina where this cruise ends. Nesta viagem de 3 horas admire as magnificas praias douradas da Batata, D.Ana, Camilo, as formações rochosas da Ponta da Piedade, Canavial, Porto de Mós e a pacata vila da Praia da Luz. Aqui pode dar um mergulho, usar os nossos paddles e o trampolim aquático. Divirta-se num ambiente descontraído e descubra como verdadeiramente espectacular é o barlavento algarvio. De volta a Lagos e à sua Marina, use as redes para um banho de sol e sinta a brisa de verão.